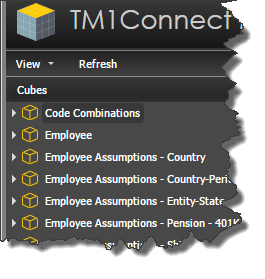 Use the TM1 Cube Viewer to create a view that closely resembles the bulk of information that is to be displayed on the form or report. Get this view to look as close to the final format that you want to display and save it as a public view. 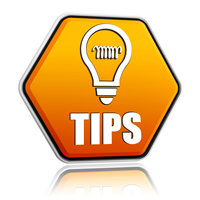 Unlike TM1, QlikView prefers information in a relational format where the data values correspond with the column headings (measures), rather than on the rows. The following view has the accounts on the rows and the months on the columns. Although this may appear to be a typical view in TM1 (and applications can import this data file easily), it will however, turn out to be difficult to work with when attempting to obtain a quarterly total for the Cash (1110) account. The following view contains the same exact information, however, the measures are in the columns and months are in the rows. This view is not only easy to load, but Quarterly totals for Cash (1110) can be easily calculated with a formula that operates over all rows within a specific column. The remaining dimensions can be configured as needed. Once the view is created, it should be saved as a public view. Using Internet Explorer, Chrome, Firefox (or other web browser), go to the URL of TM1Connect (typically http://servername/TM1Connect). When the page loads, you will be presented with a list of cubes that are contained within your server. Expand the desired cube and locate the saved view created in the previous step. The next step is to either schedule the view to be exported, or request it be performed immediately. 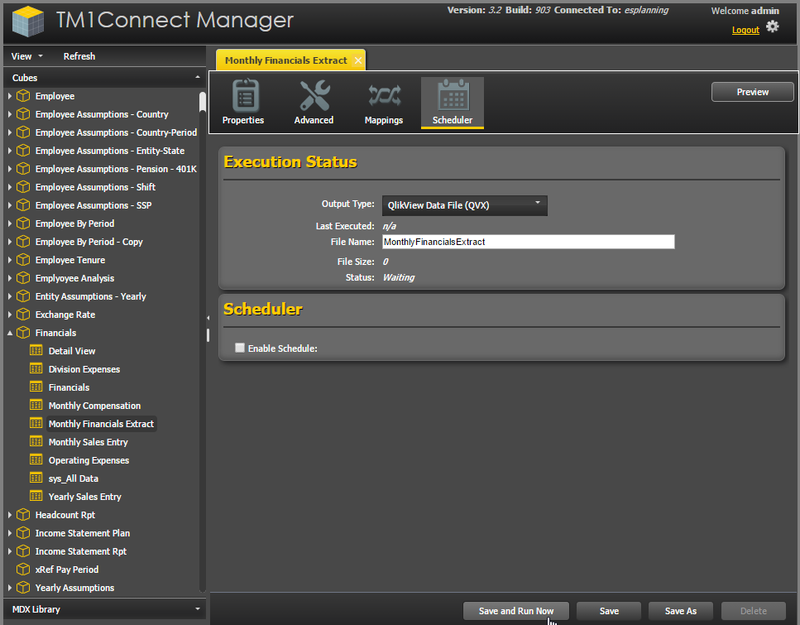 To execute the export on demand, select the Scheduler tab. 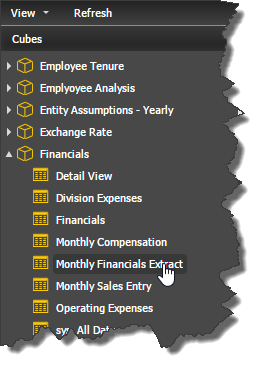 If the view you selected from TM1 uses consolidated values, uncheck the Skip Consolidated Values setting in the Advanced tab before running the extract. 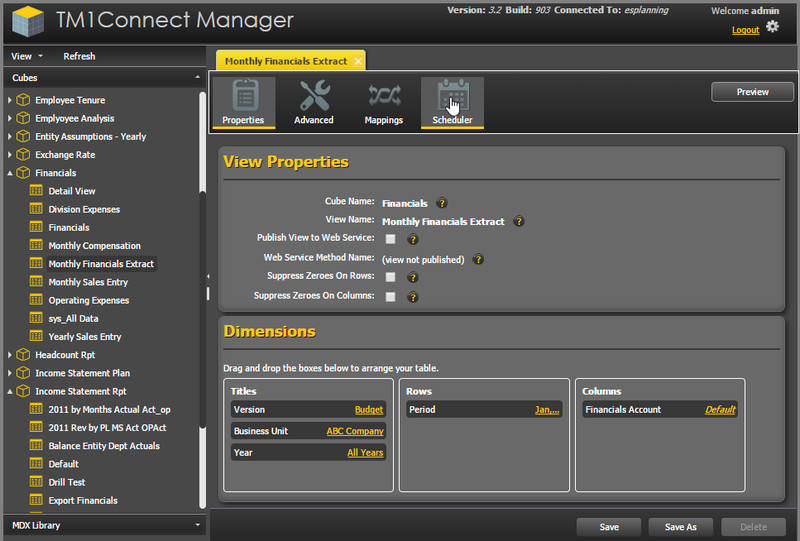 Next, confirm the name of the file to export the data to and click on the Save and Run Now button. Navigate to the extracted file. The data being loaded into QlikView should look the same as in TM1.